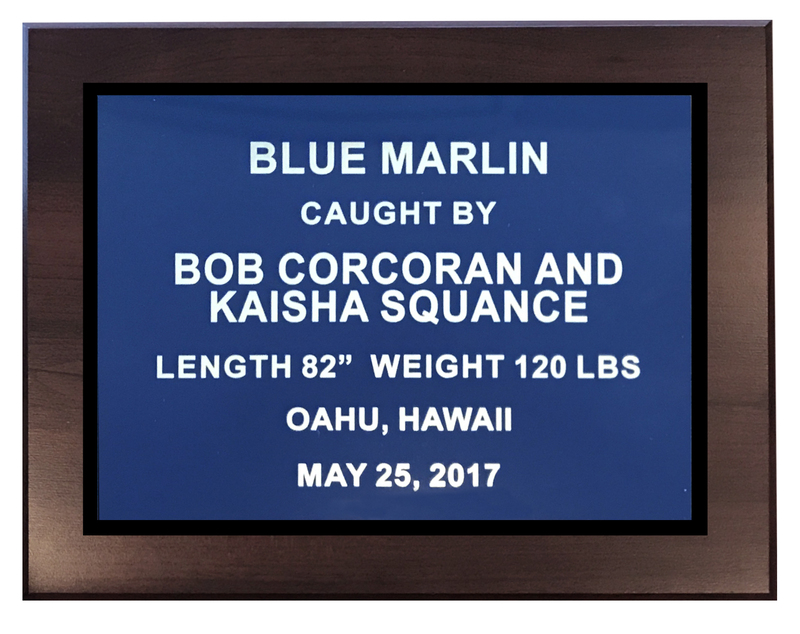 Add a custom photo plaque to go along with your mount. 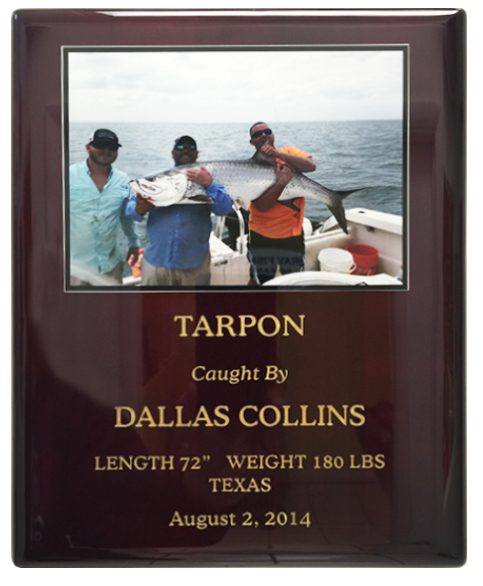 Incorporate a photograph of your catch along with a personalized description of your catch, date and location. The plaque is made of a solid wood with an elegant piano finish. Or add a personalized plate with your name and catch information.